The Audi A8 has consistently been at the forefront of technological progression since its introduction a little over two decades ago. To commemorate the legacy of this groundbreaking vehicle, Audi is producing a special edition bespoke model – the Edition 21. 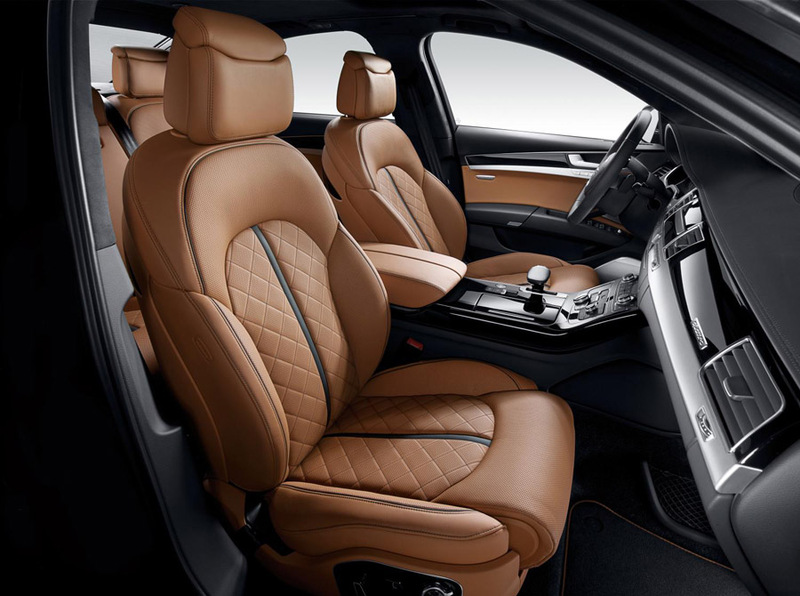 Incorporating the latest developments in design, technology and luxury, the A8 Edition 21 will be available in standard and Long Wheelbase formats. The Edition 21 creates an even more rarefied atmosphere through a specially tailored interior design package from the Audi exclusive selection. The package is available in two striking color combinations – cognac brown with black contrasting stitching or black leather with red contrasting stitching. Comfort front sports seats with memory function, 22-way adjustability and integrated pneumatic lumbar and side bolster support are standard. A black cloth headlining and three-spoke multi-function steering wheel complete the interior enhancements. Illuminated door sill plates bearing the ‘Edition 21’ emblem add another degree of exclusivity. In terms of infotainment and assistance systems, all Edition 21 models gain access to the Audi connect portfolio of telephone and internet-based services to complement their HDD-based satellite navigation, plus a BOSE surround sound system in addition to the standard items fitted to SE Executive models. These include the Audi parking system advanced with reversing camera, a power-operated boot lid with hands-free opening and powered door closure. Propelling the A8 Edition 21 is a 3.0-litre V6 TDI engine. Power is channelled to the road via an 8-speed tiptronic transmission linked to quattro permanent all-wheel drive, and acceleration to 62 mph takes a mere 5.9 seconds. For long-wheelbase models, this increases slightly to 6.1 seconds. Both versions are capable of reaching an electronically limited top speed of 155 mph. 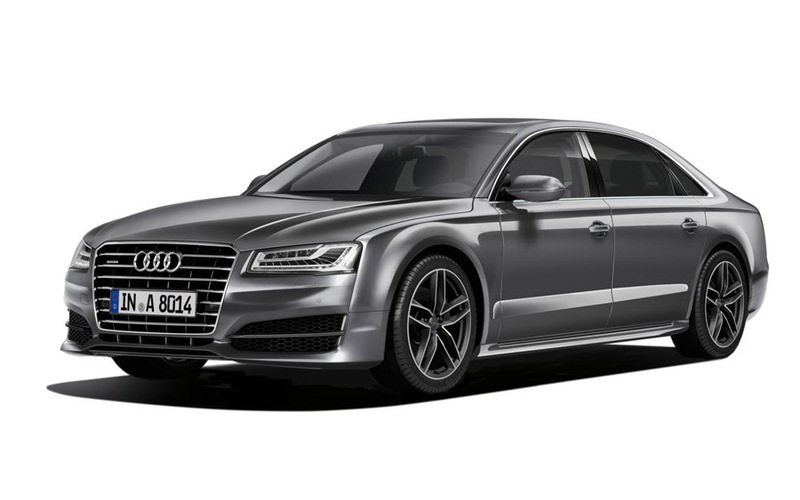 Also unique to this model are 20-inch double spoke alloy wheels with a titanium-look finish that complement the four exterior color options, which include the Daytona grey pearl effect shade that is only normally available for the 520 PS S8. Privacy glass from the B-pillar rearwards is also standard. A limited run of just 121 cars is now available to order, and customers can expect first deliveries to begin in November.